enriched wheat flour (wheat flour, niacin, reduced iron, ascorbic acid, thiamine mononitrate, riboflavin, folic acid, enzyme), neufchatel cheese (pasteurized cultured milk and cream, salt, stabilizers [xanthan, locust bean and guar gums]), water, butter (cream [milk], natural flavor), sugar, dry whole milk, eggs, yeast, sea salt, sourdough (water, fermented wheat flour), dough conditioner (wheat gluten, ascorbic acid, xanthan gum, salt, enzymes), lactic acid. 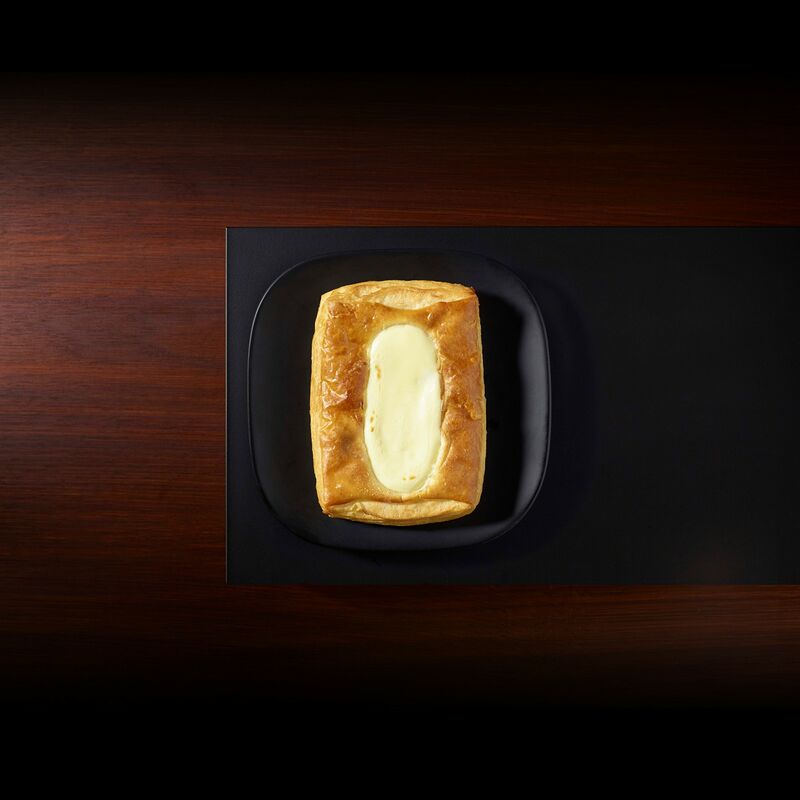 Our take on the traditional cheese Danish pairs flakey croissant dough with reduced-fat cream cheese. It’s a simple recipe with simple ingredients you’re sure to love. Although Danishes have become a specialty of Denmark, the pastry originated in Vienna, Austria.